What Are Excipients in Medications? When drug manufacturers create a medication, it has several ingredients. Obviously, a drug will contain active ingredients—the chemical compounds that treat the condition for which you're actually taking the medication. But it also will contain inactive ingredients. These inactive ingredients are called excipients. Excipients are included in almost all prescription, over-the-counter medications, and nutritional supplements. These ingredients may dyes, flavors, substances that function to bind the pills together, lubricants and preservatives. Some excipients help a drug to disintegrate into particles small enough to reach the bloodstream more quickly. Others protect the stability of the product so it will be at maximum effectiveness at the time of use (they function as preservatives). Excipients also may prevent a drug from dissolving too early in your system, protecting against stomach upset, or too high of a dose immediately after taking the drug. Excipients or inactive ingredients are supposed to be inert, which means they don't have any effect on you, but some can cause symptoms by themselves— and potentially, allergic reactions—or interact with the drug's active ingredients to cause unexpected results. Inactive ingredients in one medication may also interact with the active ingredients in another medication. The word "excipient" comes from the Latin verb excipere, which means "to take out." How Are Excipients Used in Medications? The FDA has approved many excipients: There were over 13,000 inactive ingredients in the FDA's database in early 2017. They ranged from acacia (which is a gum-based thickener) to zinc sulfate. Medication additives can take the form of flavorings. For instance, mandarin oil, lemon oil, and menthol are included in the list. Or they can be colorings like the inks that appear on the FDA's list in a variety of colors and forms. Additives can be something most people would recognize (such as light mineral oil or fructose), or they can be something with a long, nearly incomprehensible chemical name, such as polyvinyl alcohol graft polyethylene glycol copolymer (3:1; 45000 MW) or linoleoyl macrogolglycerides. The most common excipients include cornstarch, lactose, talc, magnesium stearate, sucrose, gelatin, calcium stearate, silicon dioxide, shellac, and glaze. Excipients in medications are supposed to be inert, which means they aren't supposed to react with a drug's active ingredients or cause reactions in the people taking the drug. However, in practice, they don't always work as they should. For example, calcium salts, which are used as fillers in medications, can cause your intestines to not absorb certain antibiotics as well. There are many ways in which fillers may interfere with absorption of other drugs ranging from binding with the medications in the digestive tract, to interfering with absorption in the intestines and more. The scientists who formulate medications must take these many potential interactions into account when designing the drugs. In fact, the excipients in one medication could react interact with the excipients in another medication. In addition, it's certainly possible to be allergic or intolerant to "inert" ingredients in a medication. For example, many people are lactose intolerant, yet lactose is frequently used to formulate drugs. In addition, some people are allergic to corn, yet tablets and other drug formulations often contain cornstarch as a binder or filler. Finally, some people react to the coloring agents used in medications (and in food). An example is tartrazine or FD & C yellow #5 which is a commonly used artificial food dye. An example which illustrates the potential for excipients to cause allergic reactions, and how avoiding these allergic reactions can take some effort, includes this list of inactive ingredients in Halloween candy which may cause allergic reactions. If you have concerns about the excipients used to make a particular medication, talk to your pharmacist about it. She has access to the entire ingredient list. Abrantes, C., Duarte, D., and C. Reis. An Overview of Pharmaceutical Exipients: Safe or Not Safe?. Journal of Pharmaceutical Sciences. 2016. 105(7):2019-26. Perez-Ibarbia, L., Majdanski, T., Schubert, S., Windhab, N., and U. Schubert. Safety and Regulatory Review of Dyes Commonly Used as Exipients in Pharmaceutical and Nutraceutical Applications. European Journal of Pharmaceutical Sciences. 2016. 93:264-73. What Are Generic Drugs? Are They Safe? Why Do They Cost Less? Should You Use Medications After Beyond-Use Dates? Should You Take Zoloft for Bipolar Disorder? Can Bipolar Medication Be Causing Your Thinning Hair? 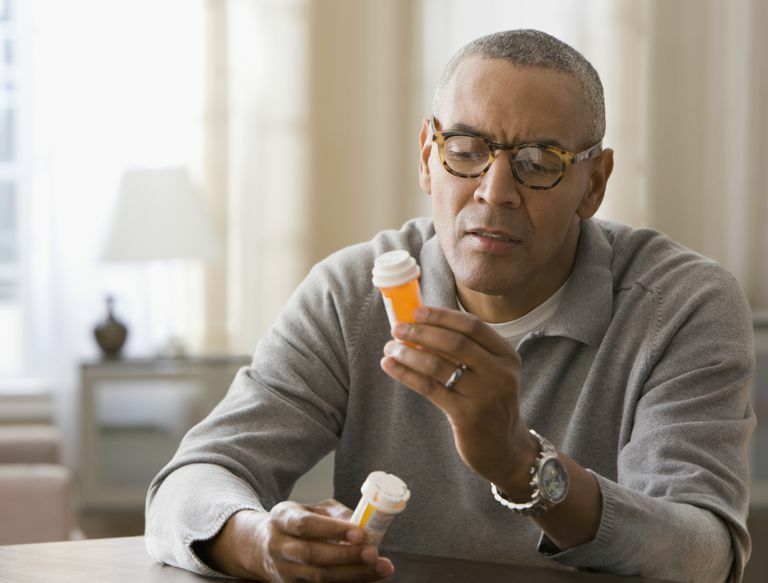 When Is the Right Time to Use a Tricyclic Antidepressant?